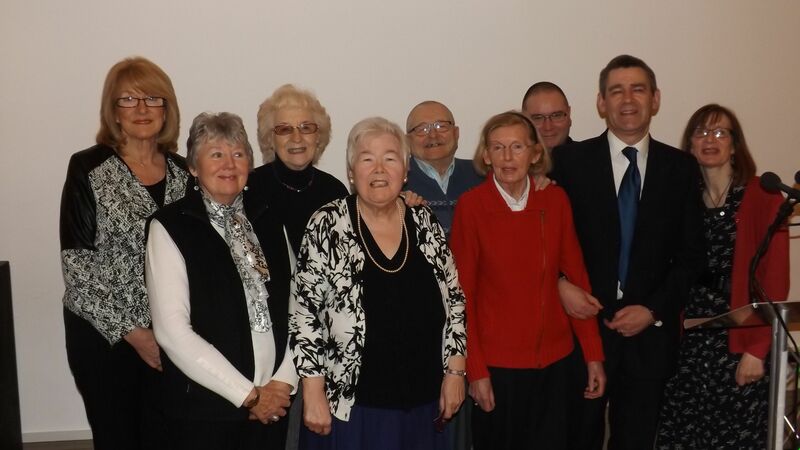 WORDS ALIVE writing group for older people based in Donegall Pass community centre, have successfully received funding from the Big Lottery Fund to develop their outreach project. 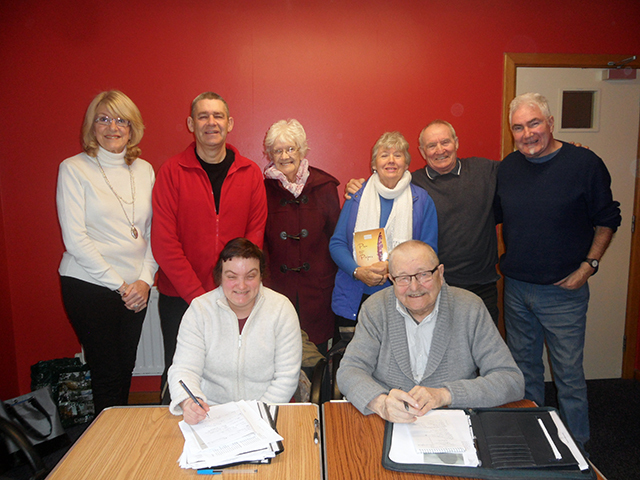 Their project was formed to bring stories, poems, a bit of stimulation and craic, to older folk who may be isolated, under-appreciated, or simply interested in listening and reminiscing. Now, with the financial support of the Big Lottery Fund, Words Alive hope to have a more enduring impact. They will be able to produce an anthology of their writings to leave behind after their visits. Both individuals and carers will be able to draw on different sections of the book as a prompt to writing and reminiscing about their lives. 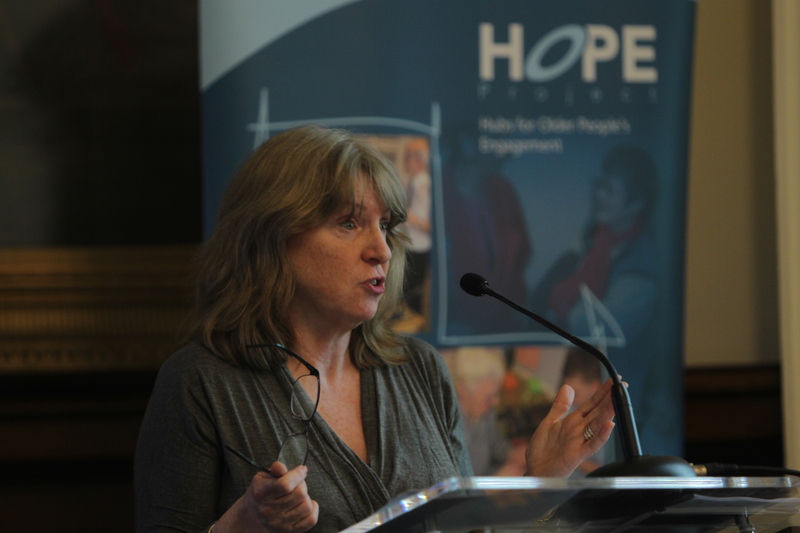 It was in 2013 the group responded to a request made through Engage With Age to visit some groups of people in residential homes, day centres and sheltered housing, particularly to connect with the elderly and isolated in the community. The Words Alive Outreach project began by visiting Edgecumbe Day Centre where a wide range of individuals attend, including those living with dementia. Our visit met with a great response. Everywhere we went after that we were asked to come back soon. 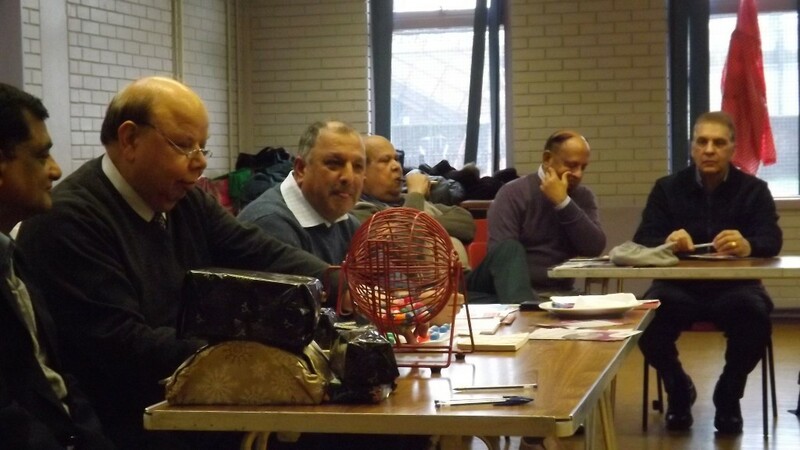 We realised that we were addressing an endemic lack of stimulus for older people in a variety of circumstances. We have now visited more than 20 different venues and we have gained confidence and an understanding of what works. We would like to build on this small success by benefiting as many elderly people as we can reach. And now, thanks to the Big Lottery’s support, we will be able to produce an anthology specifically geared to our outreach work. 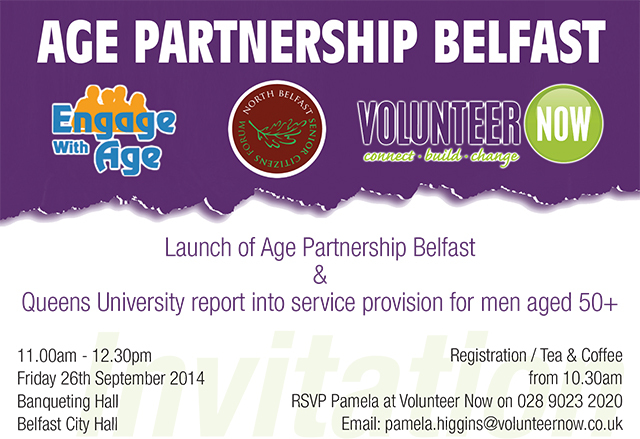 Did you know that in just over 20-years the number of over-50s in Belfast will increase by over 32,000? That’s bigger than Ballymena or Newtownards. Northern Ireland and Belfast’s population is undergoing an ageing revolution. In 2012 just over 30% of the city’s population were over 50. By 2037 it will be almost 40%. The changes are even more marked at higher ages with the number of over-85s expected to double. This unprecedented change will have a profound effect on everything from healthcare to pensions, public transport to fuel poverty. Unfortunately, however, policy makers don’t have enough information to plan properly for the needs of a ‘greyer’ Belfast. That’s where you or someone you know can help. To understand the implications of an older city, Queen’s University is conducting Northern Ireland’s largest ever public health study, tracking the lives of 8,500 people – including almost 2,000 from Belfast – as they grow older. 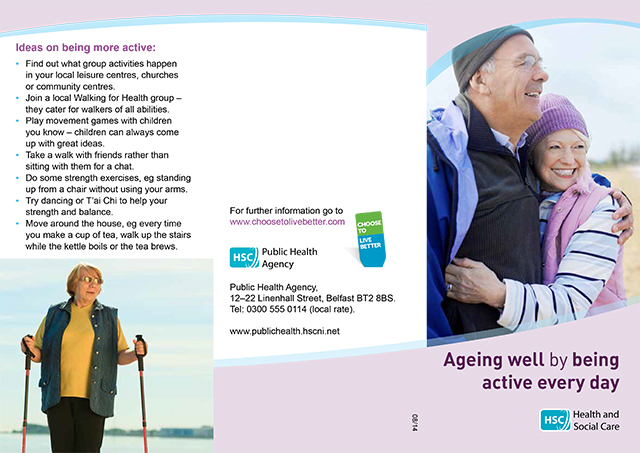 Known as ‘NICOLA’ (the Northern Ireland Cohort for the Longitudinal Study of Ageing), the aim is to improve our knowledge about ageing and give participants a better understanding of their own health and wellbeing. 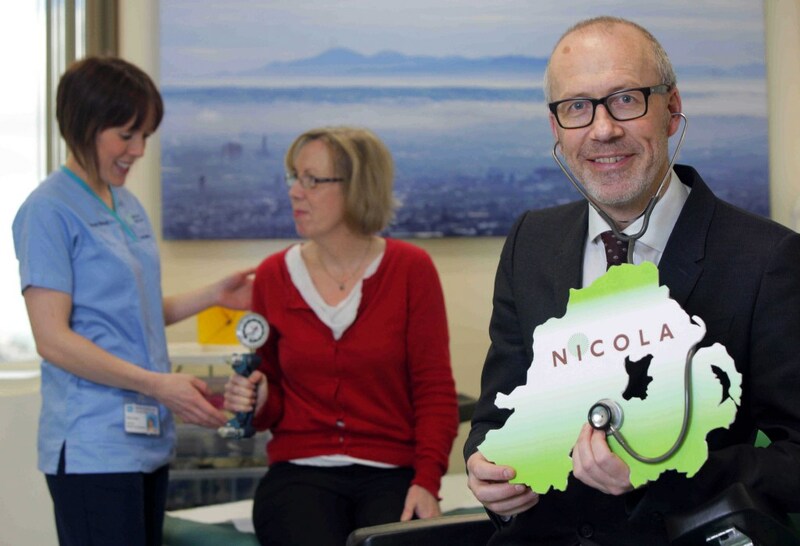 NICOLA participants are randomly selected from a database provided by Northern Ireland’s Health & Social Care Board. Participation is entirely voluntary and all data collected will remain confidential. There are three stages: an interview, a questionnaire and a health assessment. First, participants will receive an invitation letter before being approached by representatives from Ipsos MORI (appointed by Queen’s to conduct the home interviews). Everyone involved with NICOLA will carry ID clearly identifying their role. Secondly a paper questionnaire will be provided for completion and return in a pre-paid envelope. Thirdly, there will be a health assessment at Northern Ireland’s Clinical Research Facility at Belfast City Hospital. The assessment, completed by registered nurses, includes blood pressure readings, lung function, thinking and memory tests, body measurements, physical measures, blood and urine sample collection, plus a detailed eye examination using equipment not available elsewhere locally. Participants can choose to take part in all or some of the assessments. A paper questionnaire regarding diet and nutrition will be provided for return in a pre-paid envelope. Follow-up home-based interviews will be conducted every two years with Health Assessments every four years. 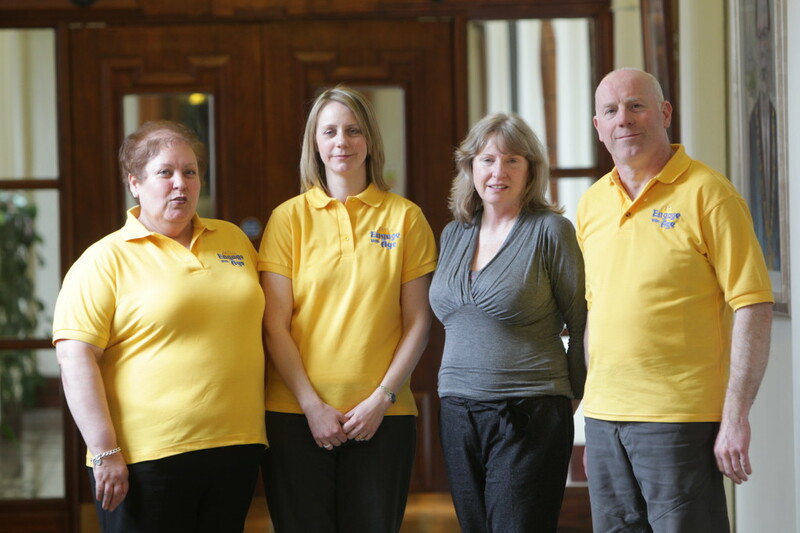 NICOLA will help make arrangements to enable everyone to attend the health assessment. Travel expenses will be fully reimbursed and free car parking is available. Participants will receive a discount voucher for a local café and theatre, and you may also bring a partner or friend for support. NICOLA and its participants will change the way we live for the better. If you are contacted by NICOLA and want more information, please visit www.nicola.qub.ac.uk or contact 028 9063 3078. Just in case you missed it!! 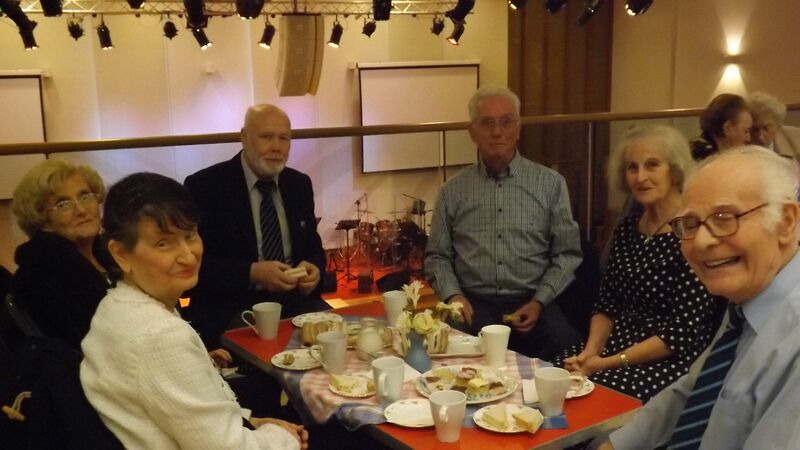 Here is the Castlereagh Lifestyle Forum NVTV clip of their Spring Tea Dance. 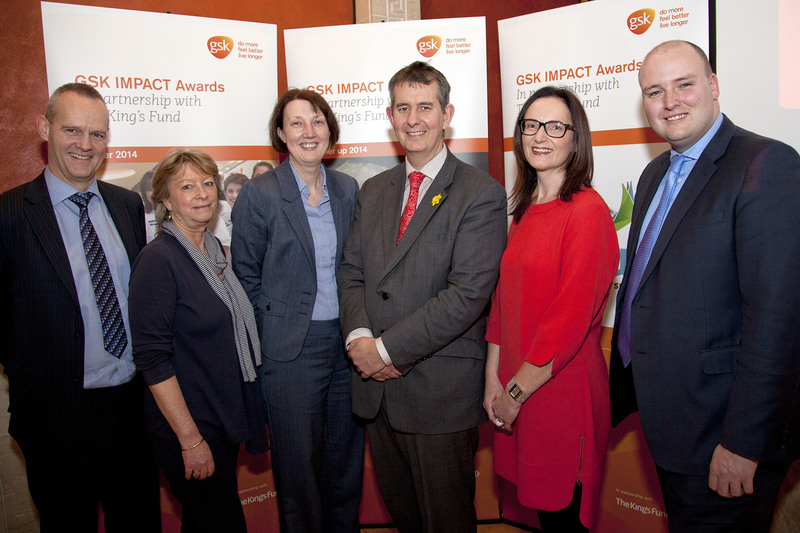 Engage With Age is delighted to have been awarded a runner up GSK IMPACT award for 2014, in recognition of our clearly demonstrated impressive commitment to health and wellbeing of older people. The Manager, Margy Washbrook (second from the left), was invited to Stormont to collect the award from Minister of Health Edwin Poots. Words Alive Writing Club were proud to present a selection of their work at a reading in the Group Space in the Ulster Hall in Belfast in February. The reading, one of the Literary Lunchtime events, allowed the members of the club to present their work to a wider audience and through it they met with other like-minded people who are also developing their writing skills. 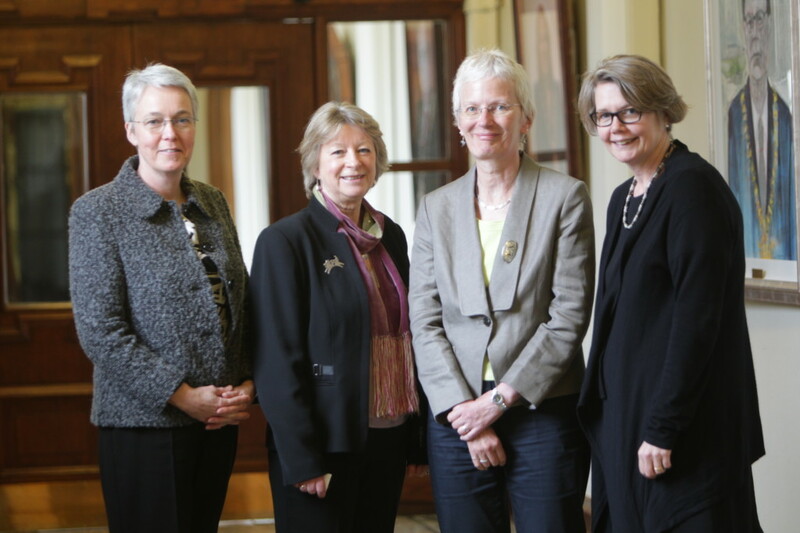 Words Alive have been meeting now for a few years under the wise guidance of Ruth Carr. They have published a book of poetry (available from Engage With Age) and have a programme of monthly readings and visits to older people’s groups and facilities.